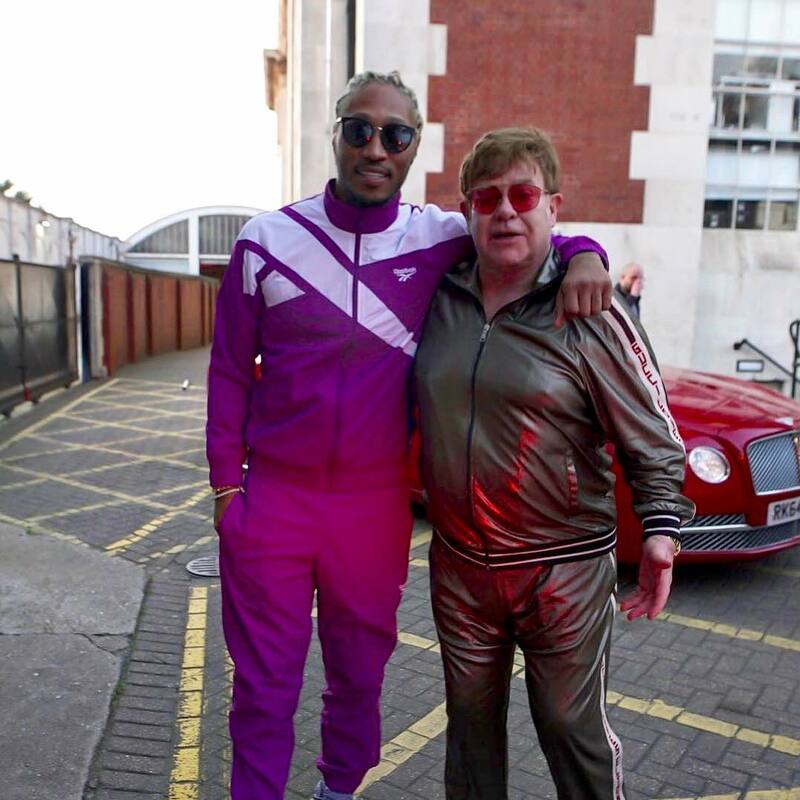 An unlikely pairing, Future and legendary singer-songwriter Sir Elton John posed for a picture together in London. Looking cosy, Hendrix sported a purple and white Reebok tracksuit with a large classic Reebok logo on the shoulder. While, Sir Elton John opted for a more luxurious look, draped in a shiny gold Gucci tracksuit with side stripe detailing.